Like most places I visited on my short trip up the East Coast of Australia, I only spent a couple days in Cairns (pronounced “cans”). It was my last stop before jumping on a plane to New Zealand, and heading into the unknown all over again. It was my last couple of days in a country I had grown incredibly fond of in the last year. I was literally flying out the day my visa expired, and I was intent on making my last days in Australia count. Here’s what I did in the tropical little city by the sea. 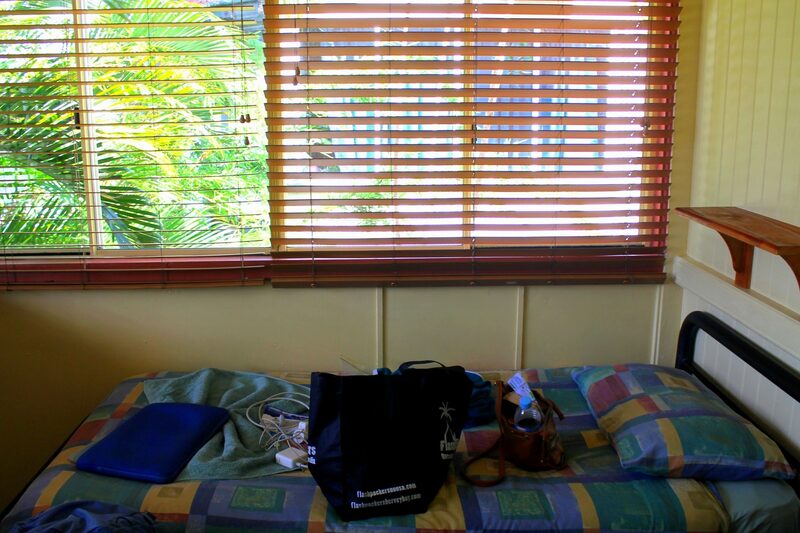 I hopped off the overnight bus from Airlie Beach, not having showered since before my dive trip, exhausted from no sleep and constant movement all night. 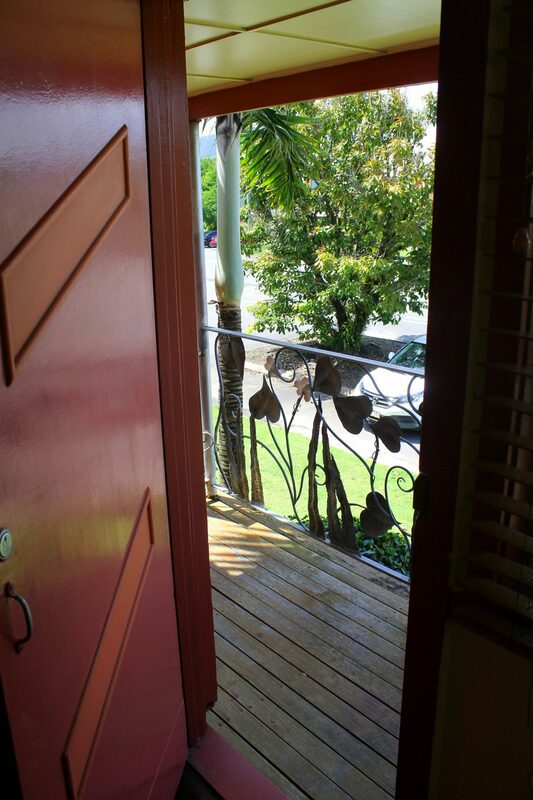 When I arrived at Travellers Oasis in Cairns, I knew I had made a very good decision in choosing my hostel. It ended up being my favorite hostel out of all the ones I stayed at throughout my time in Australia. It was clean, friendly, comfy, homey, and helpful. My room had its own deck, ample natural light, comfortable beds, and a group of female roommates I quickly became friends with, one who was even a fellow Californian and Mexican food lover like me. It was one of those places that felt so much like home, and exactly what I needed at the end of my weary journeys in Australia. When I arrived at the hostel, it was too early to check into my room and dive into a blissful sleep, so the woman at the front desk showed me to the lounge and thankfully the communal shower I could use as well. I rinsed off the salt water from the last few days, made myself some of the free coffee in the kitchen, and chilled out in the lounge until my room was ready. 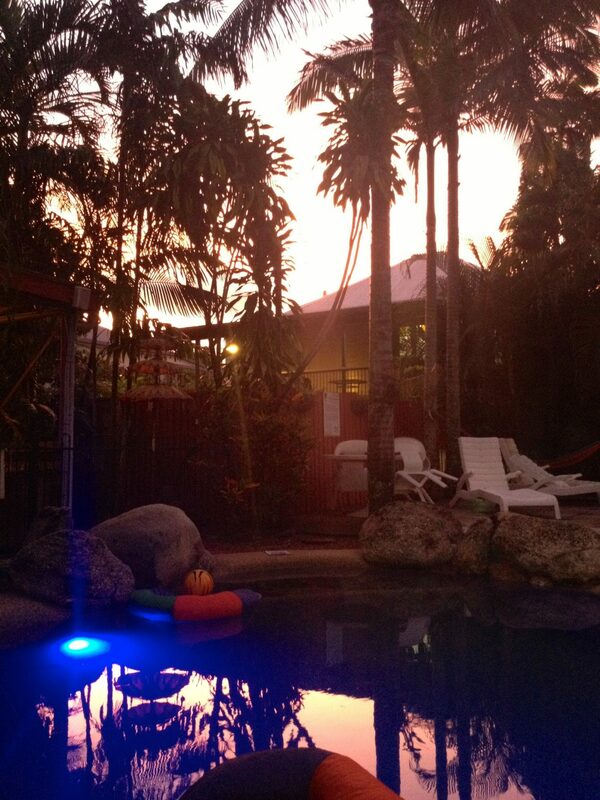 I would highly, highly recommend staying in this hostel to anyone traveling to Cairns. I was even thinking of doing a post solely about how awesome the Travellers Oasis is because I loved my stay there so much. There’s a big tree near the library in the CBD of Cairns, right around the corner from where the Greyhound lets you off. 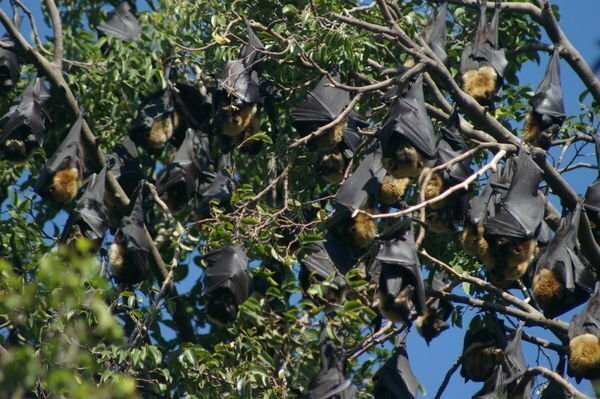 It’s full of flying foxes, also known as fruit bats. One of the many weird things I found about Australia is the number of bats to be found all over the country. In Melbourne, I would see them flying overhead sometimes at dusk. Sydney had even more than Melbourne, and I would constantly meet them in the trees of Double Bay when I’d walk home from work. Cairns was no different, besides the fact that you only really see them in this one tree. The bat tree (*cue the Batman theme song). There aren’t too many main roads in Cairns, and this tree is located on THE main road from which I would usually walk to the waterfront. It’s a remarkable thing, walking under a tree swarming, and I mean swarming, with bats. When I first walked under the tree, I was sleep deprived coming straight from the bus stop, and I didn’t notice the bats until I was right underneath the tree. It scared the living daylights out of me, and almost made me topple over with my much too heavy backpack. By my last afternoon in Cairns, it was a daily ritual. A walk under the bat tree to say hello to the noisy bats trying to find a branch from which to hang, was a way of saying good morning to beautiful Cairns. My last stop in Cairns meant my last chance to pick up all the souvenirs for friends and family members back home, that I probably should’ve been collecting for the past year while living in Australia. Whoops. Lucky for me, the Cairns night market was just the place to find cheap and trusted souvenirs. 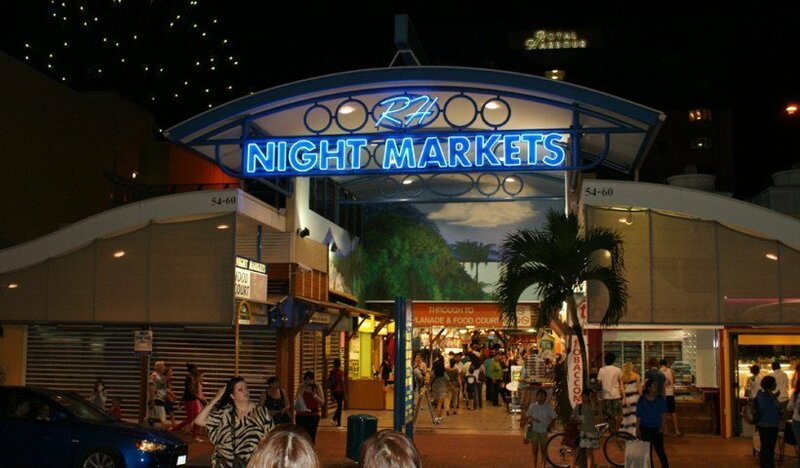 The Queen Victoria Market in Melbourne is still my all time favorite market, but the night market in Cairns was still pretty cool with its offerings of anything from on-the-spot massages to packs of cheeky clip on koalas dressed in a multitude of Aussie attire. 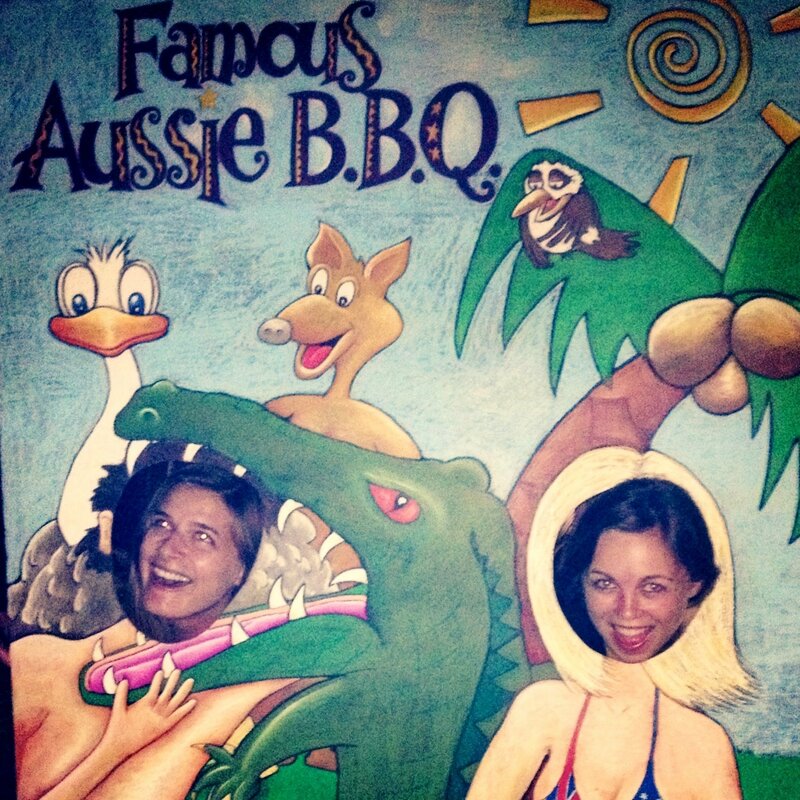 The classic “Aussie barbie” offered through Travellers Oasis is a famous weekly tradition for the hostel. The night for the weekly barbecue landed on my last night in Cairns, and I was finally able to try some out there Aussie treats. To participate, you sign up for the barbecue and pay $12 at the front desk. This includes a drink voucher for the popular Woolshed bar in town after the barbecue. The barbie is actually located at a sister hostel, Tropic Days, so there’s a free shuttle that takes you there and back on the night. There are cheap drinks for sale ($2 beers) once you get to Tropic Days, or you can BYO. The feast includes kangaroo (which it seems I will never find tasty), emu, crocodile, and barracuda, as well as veggie options. There must have been close to 100 people at the barbecue, it was a great way to meet fellow travelers and try some Aussie delights in the process. 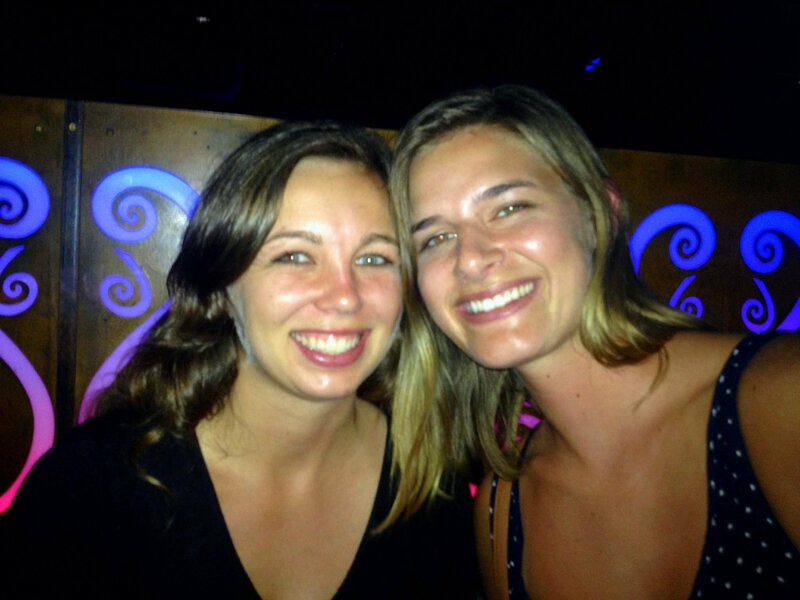 My first night in Cairns, I tagged along with my new roommates and found myself at the Pier Bar on the esplanade. Two of my roommates had just arrived back from a dive trip, and Pier Bar was where they were meeting up with their dive crew again. Pier Bar had a wide range of ages in terms of its clientele. Being a bit more upscale with its location and decor, I’d say there was more of a fun 30-something year old presence, but with a good sprinkle of the backpacker scene to be found as well. 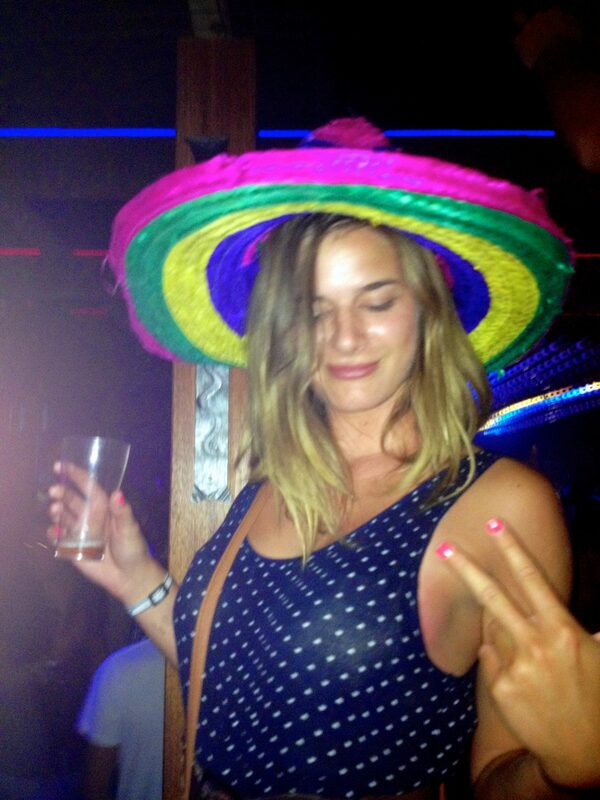 There was plenty of dancing, tequila shots, and cheap pizza involved to make it a great first night out in Cairns. My last night in Cairns, the night of the traditional Aussie barbie, a few of us went out to The Woolshed bar to use our drink vouchers from the feast. Most of the group was tired at this point, so it was just the other California girl and I who stayed up all night and had an epic time at The Woolshed. It was my last night in Australia and I was keen to go out with a bang. The Woolshed reminded me of a little place called Typhoon Saloon in San Diego, California. Part bar, part club, with plenty of room to get up on a table and dance the night away when you’ve had too many red bull vodkas. By the time midnight hit, the bar was filled to the brim. A uni pub crawl soon came through the doors, and we were inundated with a bunch of drunk international students. I even randomly met a guy from Oregon when my Cali counterpart and I stole a sombrero off his head. It was a cheesy, feel good night, filled with top 40 sing-a-longs, table dancing, sombrero wrangling, and a little taste of reminiscing about home with my new Californian friend. It was a perfect night to end my time on the East Coast and a proper farewell to a year of surviving Australia. Most people at home thought I would’ve been stung by a jelly fish, eaten by a dingo, or bitten by a poisonous spider by now, or all of the above. So there was great cause to celebrate. I loved spending my mornings walking to the waterfront, grabbing an ice cold smoothie along the way in the sweltering humidity found in Northern Queensland. You’re not supposed to swim at the beach in Cairns due to crocodile attacks and box jelly fish, but there’s a man-made lagoon on the esplanade where all types of people convene and enjoy the sunshine. There was even a jazzercise fundraiser on one of the days I walked by. You never know what you’ll find along the Cairns waterfront. Another cool aspect about the Cairns waterfront is that it’s educational as well. There are signs going down the length of the waterfront that lay out the history of Cairns, and the Aboriginal past that has had a major influence in the city’s roots. I was surprised at how long the Cairns waterfront goes on for. There are plenty of benches, picnic tables, and sunny spots in the grass to have lunch, read a book, or simply people watch. 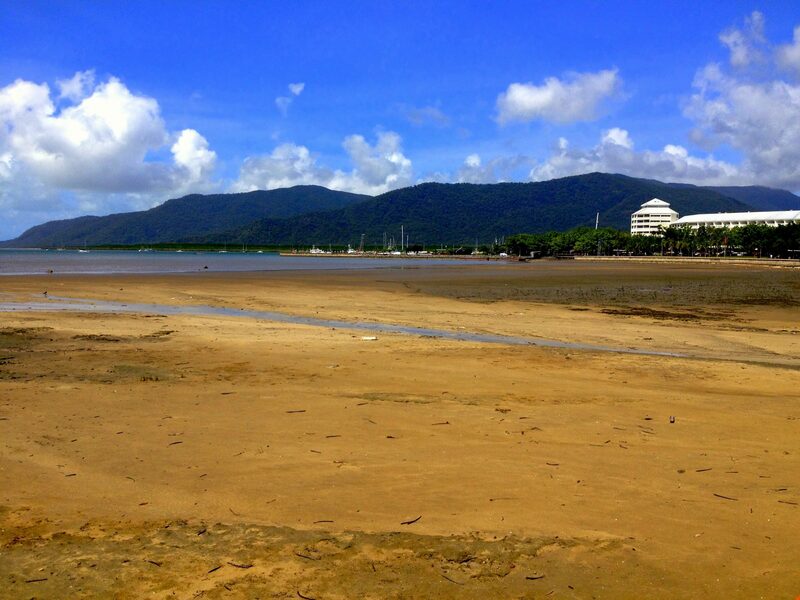 Cairns is the main and most popular gateway to the Great Barrier Reef. There are countless dive operators, and different styles of dive trips to choose from. 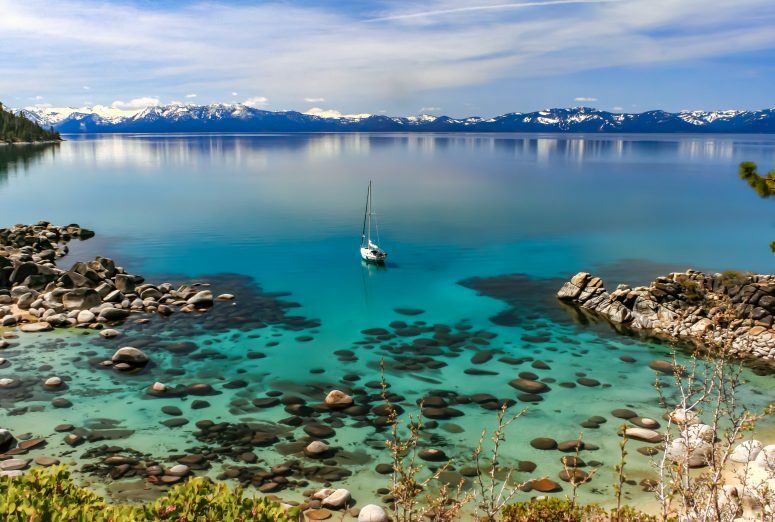 If you’ve never been diving before, it’s also a popular place to get your scuba certification. I chose to dive the Great Barrier Reef via Airlie Beach and the Whitsundays, but Cairns is also a very good base to see the reef. I’m a sucker for gardens, nature, and spots that have good sun. I didn’t have a chance to see the Cairns Botanic Gardens due to time constraints, but it sounded like a great place to spend an afternoon. From what I saw of the Carlton Gardens and The Royal Botanic Gardens in Melbourne, and the botanic gardens in Sydney and Brisbane, I’d say the Cairns gardens would be just as impressive. I love learning about local floral and fauna from a city’s botanic gardens, and tropical Cairns would not disappoint with the amount of native plants to be found around the area. Cairns is a great place to learn about Aboriginal culture, to appreciate the history and pay your respects to the struggles the Aborignal people have endured throughout history. 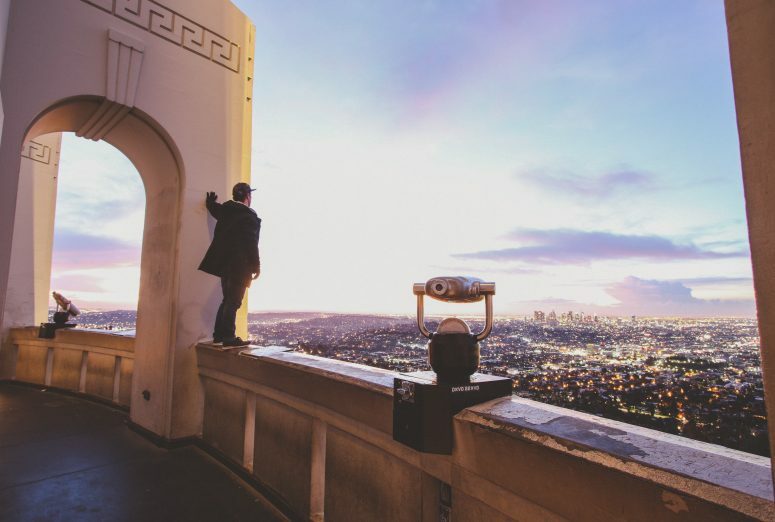 Unfortunately, as with most traditional cultural experiences that are used for profit, it’s hard to find an experience that is truly authentic and not overly touristy. Tjapukai Cultural Park is a good place to start if you want to experience a bit of Aboriginal culture. You’ll be able to watch traditional performances of song and dance, partake in a boomerang throwing lesson, and check out the museum that includes artifacts that are thousands and thousands of years old. I’ve heard so many good things about the Daintree Rainforest, I was bummed I couldn’t fit it into my last days in Australia. 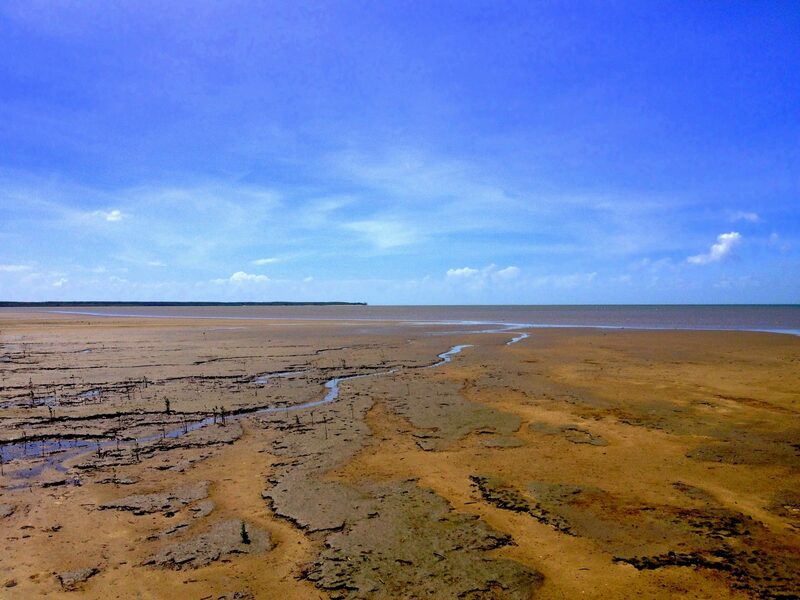 Holding the title for the largest area of natural rainforest in Australia, there is much to be discovered at Daintree. It’s a good 2 hours of driving if you wish to see the rainforest from Cairns, but there are plenty of tours to take you on a day trip or overnight stay to explore all that the huge tropical rainforest has to offer. 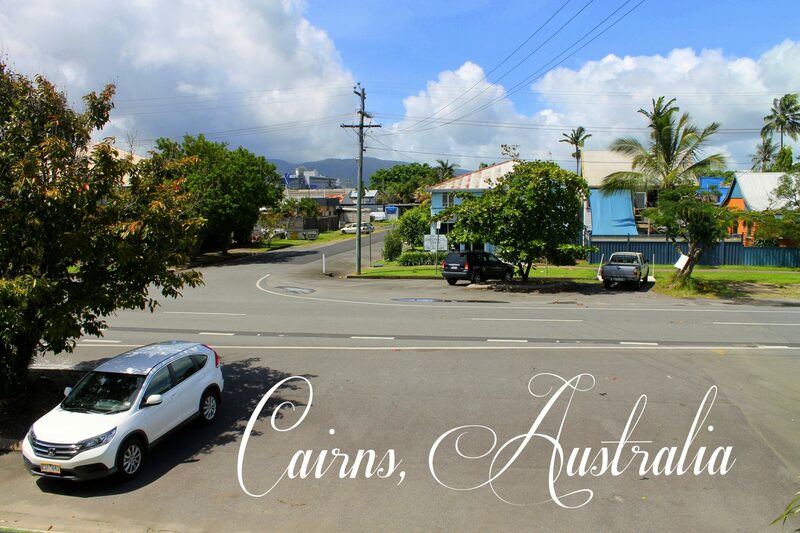 Cairns, do I dare say, is the adventure capital of Australia. White water rafting, bungy jumping, and skydiving are all popular tourist activities in this unsuspecting Queensland city. 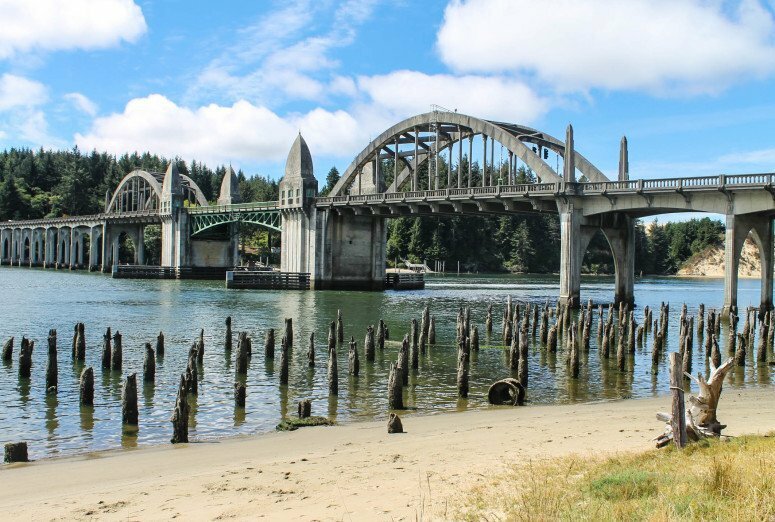 Are you brave enough to take the plunge, get a little dirty, and face your fears? When’s the last time your tried something for the first time? All in all, I was pleasantly surprised with what I found in Cairns. I was expecting a tourist mecca with a lack of culture. Instead, I found a place alive and full of an array of new experiences at my fingertips. I left feeling sad I didn’t have the chance to spend more of my time in Cairns, it stole my heart a little bit, even with its dire humidity and screeching bats. As I waited to board my plane the following day, I grabbed a coffee at the airport cafe. I mentioned to the barista that it was my last day in Australia and that I was a bit melancholy about that fact. The barista winked and gave me a free Tim Tam, saying, “you’ll be back before ya know it, mate”. Somehow I think he might be very right. Have you even been to Cairns?